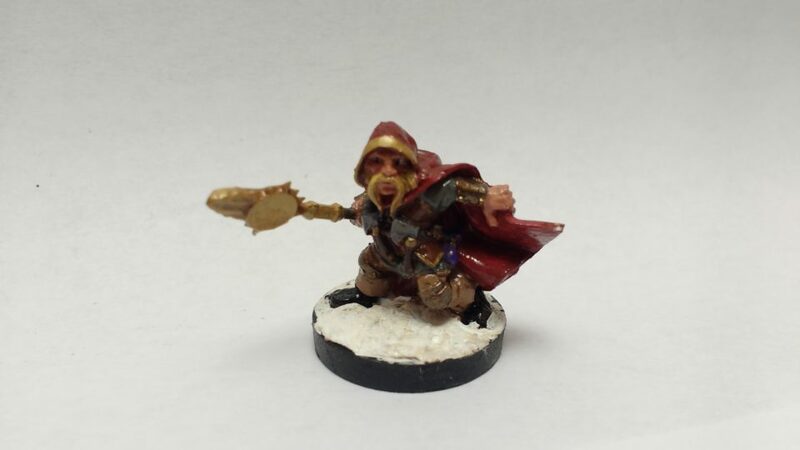 This time I converted the Klaus Copperthumb Dwarf Rogue miniature from Reaper Bones to hold a staff instead of a knife. I plan it to use as an NPC in the next Celestial Winter session but I can see it being fielded down the road as a caster or a rogue with high Use Magic Device. 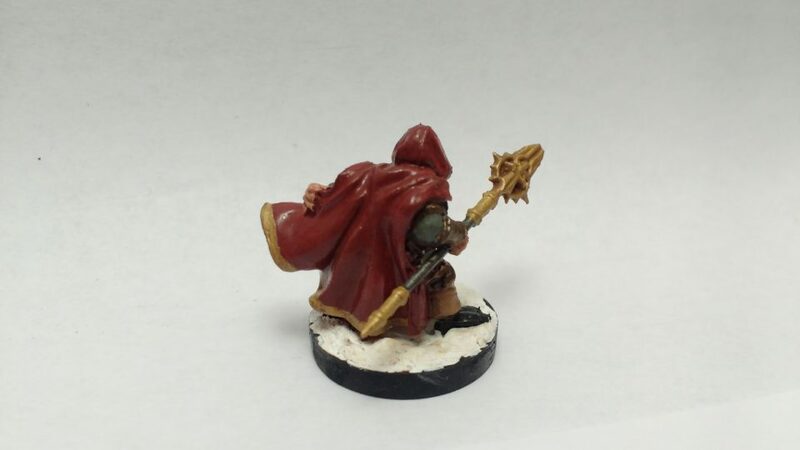 The color scheme of the cloak is intentionally along the same lines as Anirion and Galladon. I went with golds on the staff as well. My marker decided to work again so the eyes came out nicely. For the beard, I did an undercoat of gold with an overcoat of yellow. Simple grays and browns with metallic highlights for the rest. This was a bit of a rush job but, even so, the tiny errors that show up in photos always surprise me! I really need to touch up that base a bit. For the conversion, I sliced off the knife and drilled a hole through the hand to hold the staff. I had to slice through the hand to get the staff in place but sealed that gap with kneadatite.